The Halifax Donair | Halifax Donairs are the tastiest creation ever made by man. You're out on the town, having a few drinks with some good friends. Things are starting to close down, it's around 2:30 in the morning. You have the munchies. Suddenly, it hits you. You want a donair. A real, honest-to-goodness Halifax Donair. Tomatoes, onions, strip after strip of meat cut right from the spit as it turns... what could be better? I can't imagine living somewhere that donair pizza wasn't a thing. Yet in parts of Canada you can't get good donair pizza! As my first Year of Donair post, let's take a moment to celebrate some donair pizza. Here we are a week into 2015, and donair is everywhere. Montreal has a donair shop now, donair is slowly taking over Fort Mac, and even Vancouver has donair on the mind. Therefore, we're declaring 2015 the Year of Donair, and every week you're going to see something new and donair-y posted here. Look for the first donair delights this week! 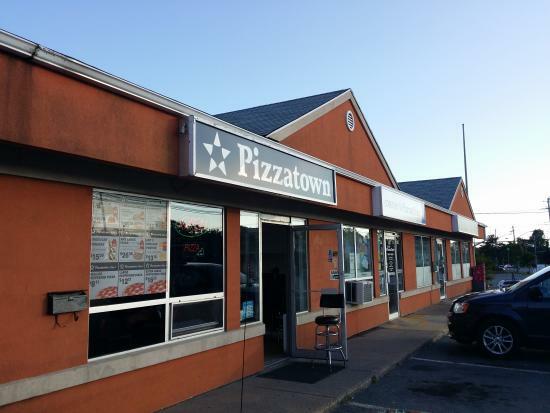 The fine folks from Pizzatown in Sackville, after much poking and prodding by folks on Twitter, announced on Friday past that they were going to produce the mythical donair taco. How could I not go check out an epic event like this? I am a firm believer that more people need to interact with the world around them rather than just accepting things as they are. When The Foggy Goggle mentioned on Twitter that they had both Lobster or Arugula Avocado Benny, I was quick to suggest that they do donair eggs benedict as well. Some people love donairs even more than we do! Wow... just wow. I can't say I ever thought I'd see this, but it looks too real not to be true. 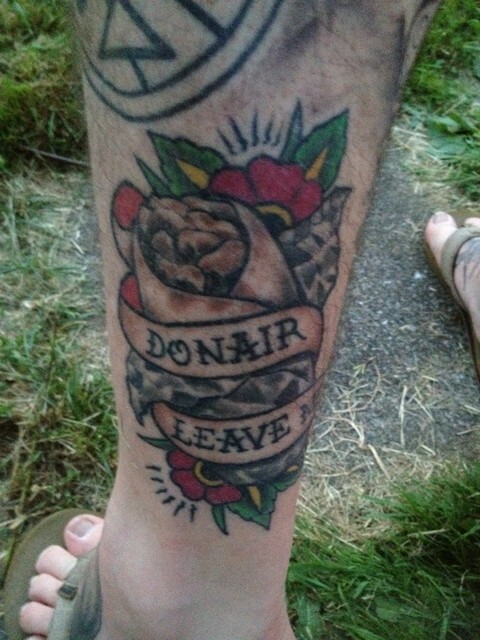 Someone has a rather awesome looking donair tattoo! Thanks to Cailin O'Neil for the photo of her friend's leg. Find her on twitter @CailinONeil. 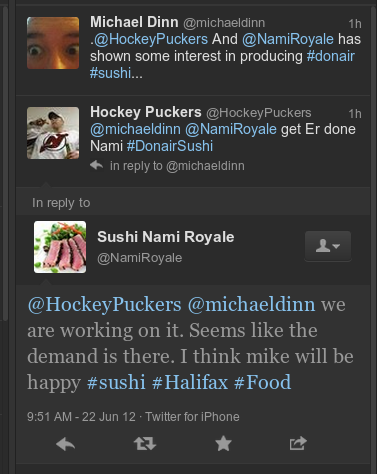 Donair Sushi. You heard it here first. After my Toronto donair experience my return to Halifax left me with a craving. The Fuzz Box: Do not pass go, do not collect $200, just go get a donair. Seriously. For lovers of the Halifax donair, you already know that outside Halifax, there's always a chance you're going to get something that's not quite a donair. Outside Nova Scotia, that chance increases - a place in Fredricton once served me a donair with sour cream, not donair sauce (what?!) If you leave the Maritimes and ask for a donair, there's really no telling what you're going to get. However, after a trip to the Fuzz Box, everything has changed. 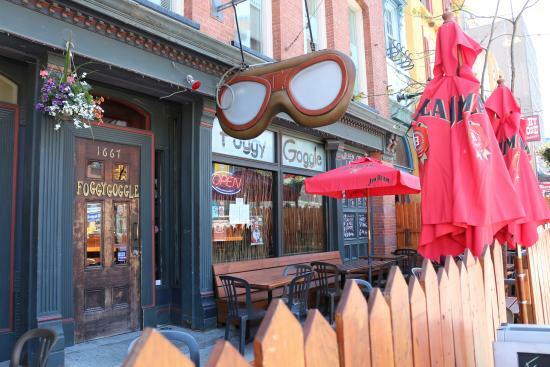 Sadly, Halifax's very own Pizza Corner has lost an icon. You're headed out on the town, perhaps over to a friend's place, perhaps to Halifax's downtown scene, and you (naturally) need to differentiate yourself from everyone else. Why not throw a little donair into the mix?